The California version of our classic REUSE! Because You Can't Recycle The Planet. T-Shirt featuring the state shape. Shirt Colors: Various. "Tie Dye" colors will vary. 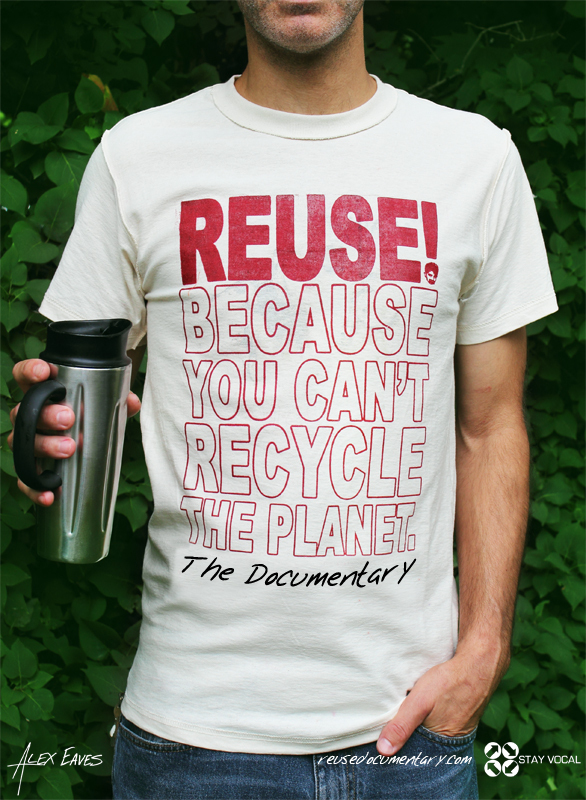 Reuse Style: Most of these shirts are printed on the reverse side (inside out), but sometimes we do use blank shirts. For the inside out shirts, we only use T-Shirts with minimal printing on the outside to prevent any possible discomfort. But as most of us have been wearing ReUse inside out T-Shirts for a while, we can honestly say that you won’t even notice.